This section is an eclectic stockpile of material covering various aspects of the computing history at CERN. It is by no means a complete history, and new elements are added all the time as they come to light. For photographs, see the IT Archive Galleries, the CERN PhotoLab Archives, and the 'Photos from..." (in the column to the right of this page). The "IT Archive Galleries" and CERN PhotoLab Archives are work-in-progress; more material is being added all the time as we dig deep into forgotten archives. 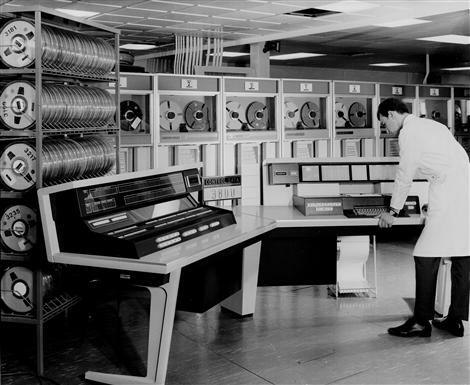 For more information on CERN's computing history, contact our Computing History at CERN (aka Cath Noble) for help. See the excellent presentation by David Williams from CHEP 2004 for a comprehensive and revealing look at Computing at CERN since CERN's inception in 1954. The series of '30 years of Computing at CERN' by P. Zanella is also a compelling and detailed narrative - see in the list to the right of this text. The MUSCLE Report: the computing needs of the LEP experiments, 1988. Scientific Computing at LEP by David Williams at LEPFest 2000 Science Symposium, CERN, October 2000. See also the Internet Hall of Fame for a global view of the history of the internet.